Fly Fishing on the Mighty Savegre and Naranjo Rivers! This week will combine relaxing on pristine tropical beaches with fly fishing while floating down a river in the middle of the rainforest. 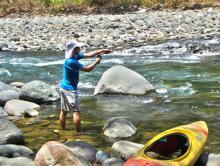 Your expert fly fishing guide will guide you down pristine jungle rivers. 4 full-day offshore fishing tour. Fish from sunrise to sunset! Cast towards the shoreline as you float down the river or find a spot to get out and wade or cast from the shore. Great for novice fly fisherman, experts and someone just wanting to learn how to fly fish! Arrive into San José, Costa Rica, where you will be met inside the airport and taken to your waiting private transfer. 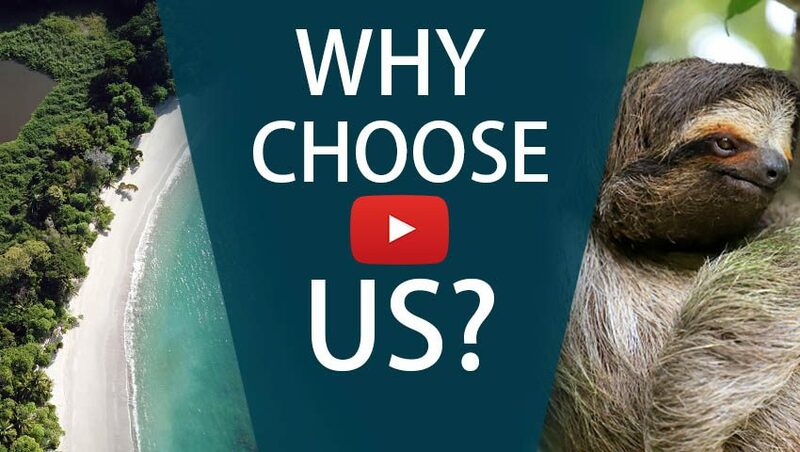 We’ll take you straight to the sport fishing capital of Costa Rica, Manuel Antonio. Here you’ll stay at the charming The Falls Resort. 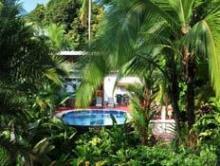 Enjoy luxurious rainforest accommodations, their pool, and their #1 rated restaurant. You will be picked up early in the morning, and we’ll start fishing! Your expert a fly fishing guide in Colorado, will take you up the Savegre River where you will start the trip. 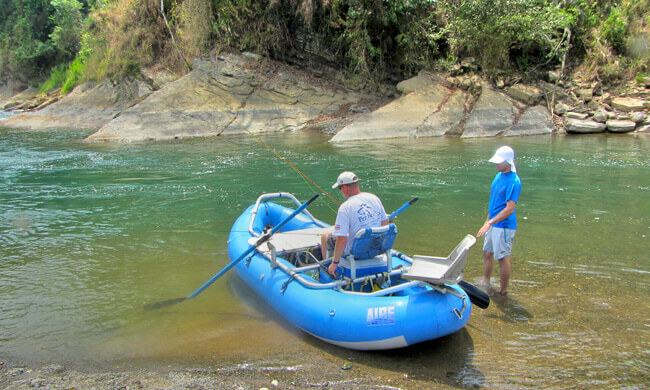 You will float down the river in a three-man raft, allowing you to cast your fly in all directions. While you do this, he paddles and tells you of upcoming turns and hot spots. On this river you’ll expect to find feisty machaca, rainbow bass, grunts, roncadores, and snook. Head out fly fishing again on the Savegre or Naranjo River! Take this day off to relax and see what else Costa Rica has to offer. 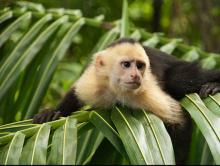 Why not take a guided tour of the Manuel Antonio National Park? Here you will see incredible wildlife and, of course, lush tropical rain forest. Head back out on the Savegre River or Naranjo River for more freshwater fly fishing! Day 6: Are You Game For More? Soak in everything on your last day of fishing. If you haven’t had the chance of catching any particular game, this is your last day! Today you’re free to try one of Costa Rica’s other signature tours: the famous canopy zip line tour. Or if you’re ready for some R&R, relax and enjoy your last day in Costa Rica. You’ve earned it! We will pick you up and take you to the Quepos Airstrip for a 25-minute flight back to San José. Fish the lowland rivers of Costa Rica for a wide variety of species including snook, machaca, and roncador.